My family and I visited Hokkaido for the first time in December 2015 - finally experiencing a white winter and powder fine snow! 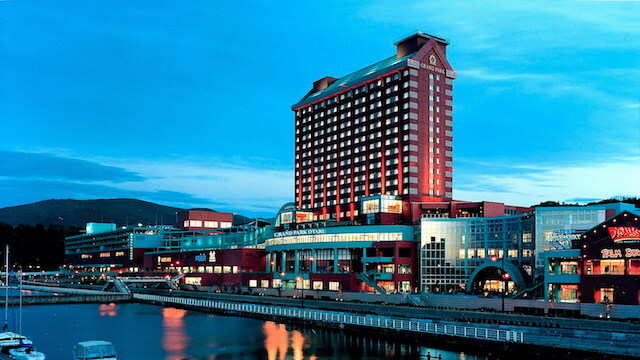 After a few days in Sapporo, we stayed 3 nights at the Grand Park Otaru, which is probably one of the largest and best hotels in Otaru (小樽). 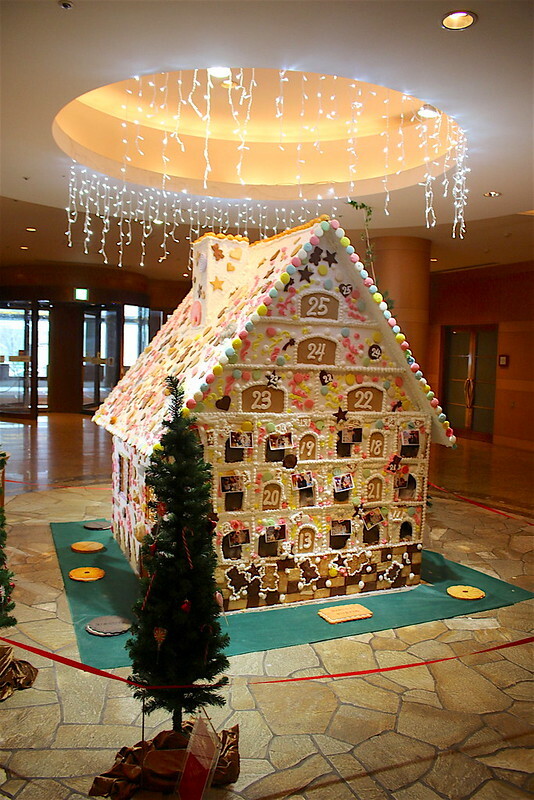 It has 296 rooms and suites, in Western and Japanese styles. 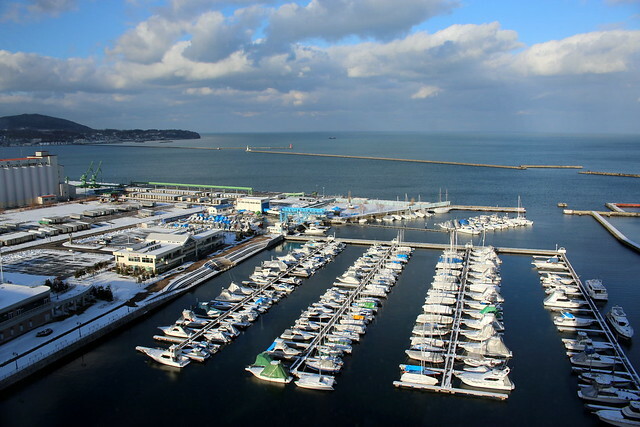 The hotel is right on top of a massive shopping mall (the Wing Bay Otaru) and next to a JR train station (OtaruChikko station). While it's not right in the heart of town near the touristy sights (canal, music box museum, hand blown glassware), it is very much self-contained. Besides, town is just two quick stations or a comfy five-minute (about US$7) taxi ride away. If it hadn't been winter, we would have walked (20-30 mins) and enjoyed the sights along the way. 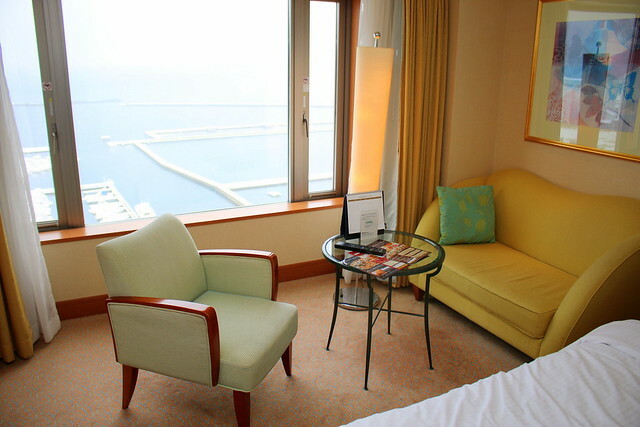 We had an Ocean View room on the 16th floor, overlooking the picturesque Otaru Marina. The view is just amazing whether it is sunny or snowing. We also caught sight of the Mountain View: it's also breathtaking in its own way, with the little buildings set at the foot of the mountains. 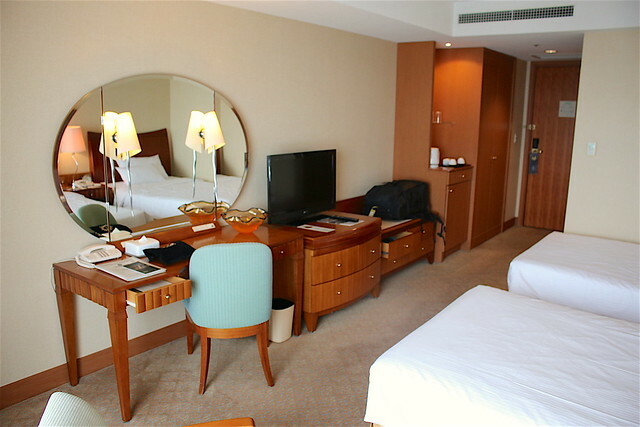 Our twin rooms were spacious (especially for Japan) and reasonably comfortable. 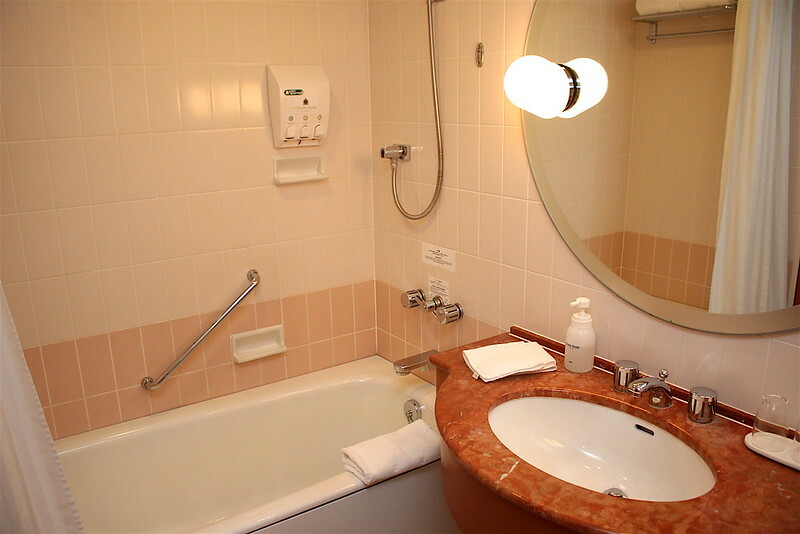 We had come from our place in Sapporo that was tiny and had really hard bedding, so this was truly a welcome change. This is our other room. We were messaging each other in the rooms on what we were watching on TV. Good thing for reliable in-room wifi! Love the big windows that let in so much natural light. And you can sit near that stunning view and have tea. 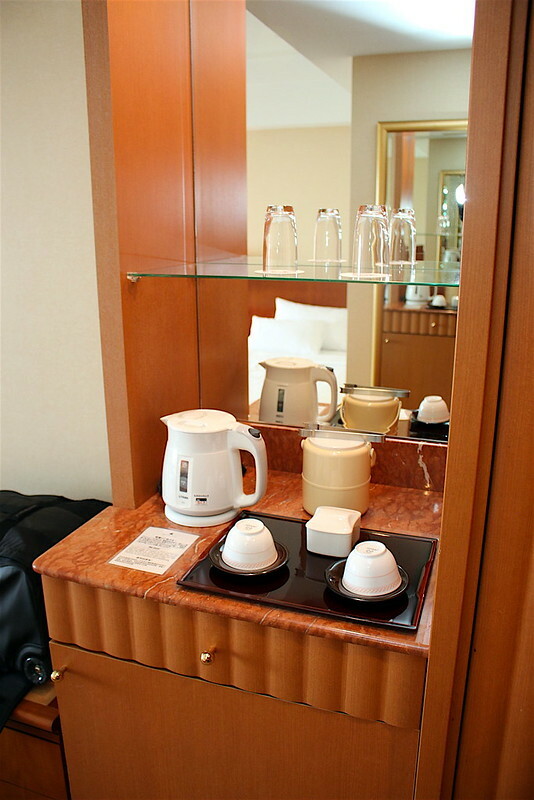 Speaking of tea, the housekeeping thoughtfully fills up the water kettle for you to boil. I haven't seen many hotels do that in a long time. Bathrooms are decent. 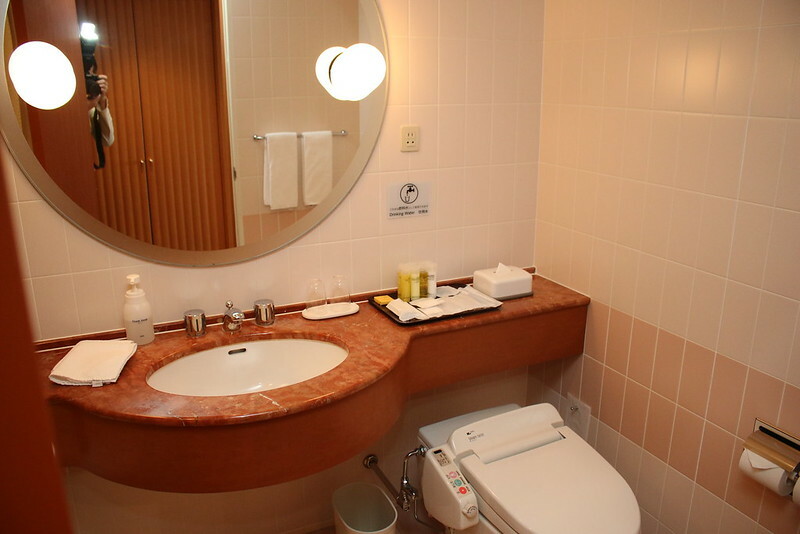 You can tell it's not a new hotel, but they do keep the facilities clean and well-maintained. And yes, it's bliss to have those heated toilets in the cold winter mornings. 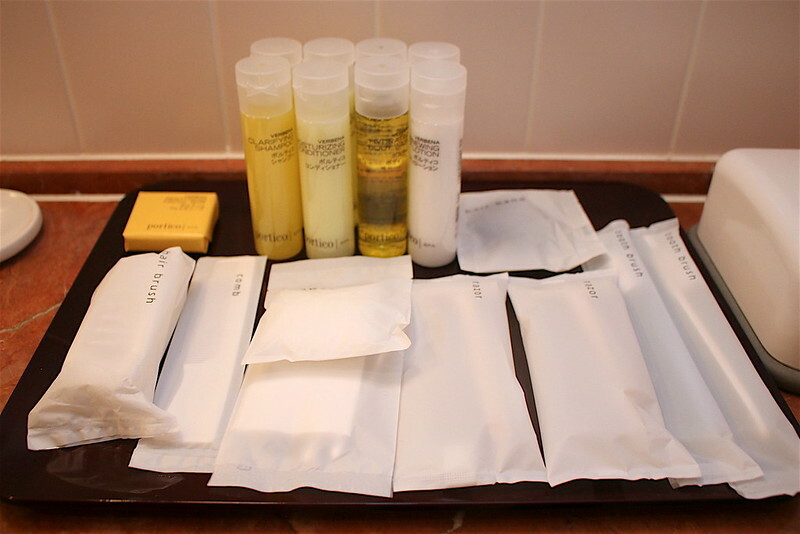 You are given a set of toiletries even though there are shampoo/conditioner/body wash dispensers in the bathroom. 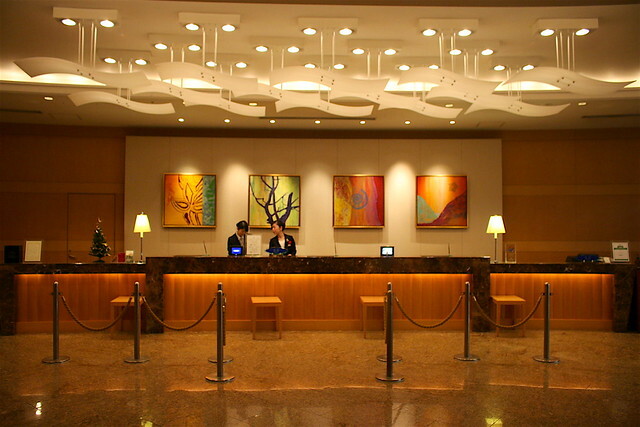 The staff at the hotel are very approachable and really strive to provide good service. In fact, the service begins even before you arrive. The concierge so very kindly helped us to procure tickets to the "Star Wars: The Force Awakens" movie premiere on 18 Dec (there is an AEON cinema at the mall). We were over the moon when they told us they got the tickets! The movie is spectacular, and watching in Japan just made it more special. The staff also spoke really good English. Actually we found out one of them is Malaysian! Well, Hokkaido sure is a nice place to work! 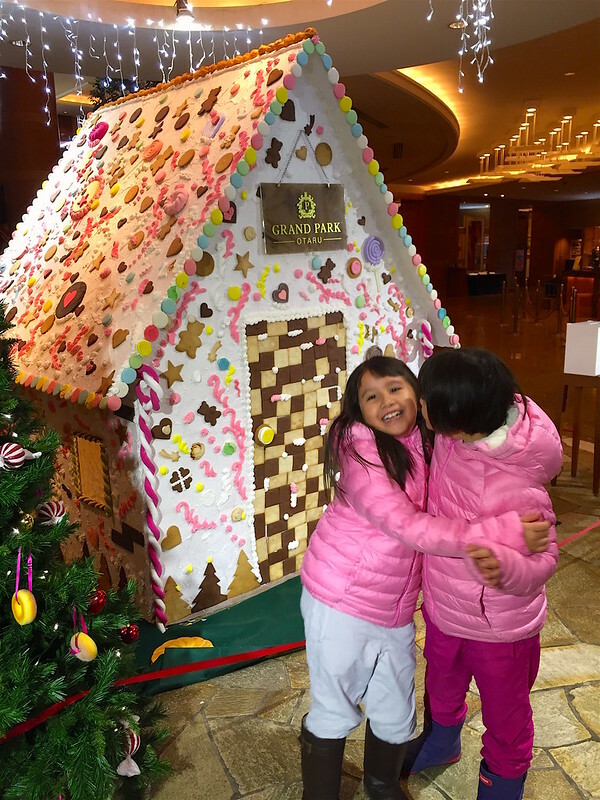 There's a giant Candy House in the Grand Park Otaru lobby; it's one of their Winter Otaru Promotion decorative pieces displayed from Nov-Jan. That thing must be at least 2m tall, and gives the place a festive feel. Seems there is an advent calendar at the back too. Counting down to Christmas! The rooms are pretty good value for money. 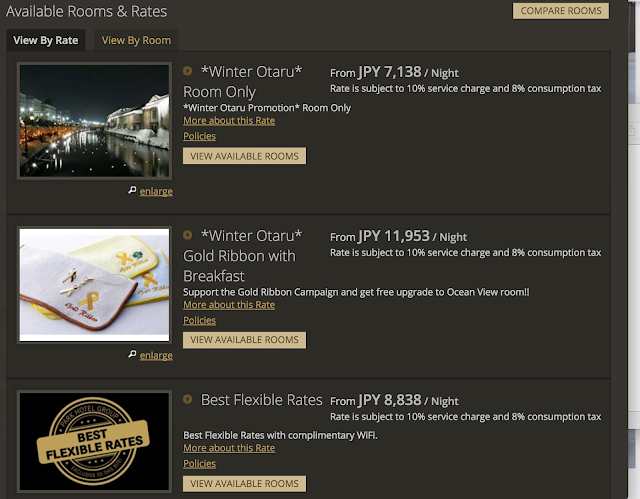 For winter, sample rates (room only) for non-festive periods are about 7138 yen (US$61) for room only, and 11,953 yen (US$101). 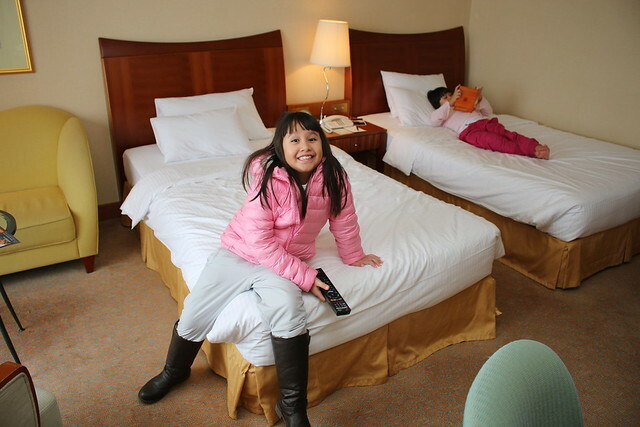 On the whole, we had a comfortable stay at Grand Park Otaru. The food around there is decent, and it's easy to get around. It's also a great base from which to explore nearby ski resorts. 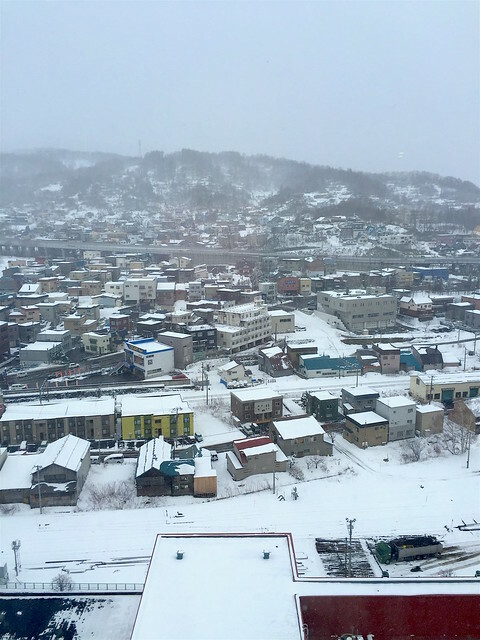 Next up: posts on the hotel F&B offerings, the shopping mall, Otaru attractions, and Kiroro snow resort (the bus has a daily shuttle to the resort)! Many thanks to Grand Park Otaru for hosting us!